Quiet family run site within Exmoor National Park overlooking Lynton and Lynmouth. First class facilities, spectacular views and excellent walking. 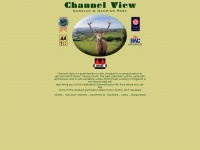 A profile of Channel-view.co.uk was found on the social network Facebook. The web server used by Channel-view.co.uk is run by Melbourne Server Hosting Ltd and is located in Melbourne, Great Britain. This web server runs 7 other websites, their language is mostly english. A Apache server hosts the websites of Channel-view.co.uk. The website uses the latest markup standard HTML 5. The website does not specify details about the inclusion of its content in search engines. For this reason the content will be included by search engines.